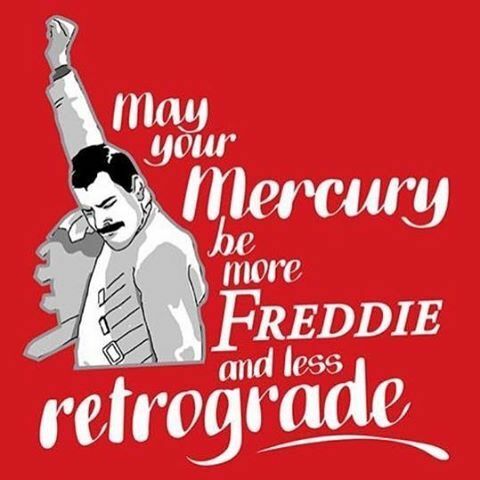 Today – Venus Retrograde Ends and Mercury Retrograde begins! Have you noticed the drama? Over the past few weeks or so, Venus has been giving us some challenges and shaking up areas of our lives we didn’t know needed shaking until they were shook! But it was very necessary to make us strong, more lovingly assertive, ready and able to end this year and begin the new one with better ability to focus on what we want and rise to any challenges. Thanks to Venus shaking her thang already, we do have less upheaval than usual ahead for the next few weeks of Mercury stirring the pot. We are entering a few weeks of cleansing reinvention, transformative growth and powerful opportunity, a realigning and series of adjustments at soul level into who we are meant to be. A time for some true spiritual evolution. Authenticity is a much over used word right now, but the need to be true to self and no longer mask ourselves to make others comfortable is irresistible. Some of this powerful shifting may seem a little overwhelming, but its important to deny fear permission to enter your psyche. As the wheel of the year turns towards Yule, we have a great opportunity to manifest like a mofo, set realistic goals, stand up for what we believe in and set healthy boundaries. During retrogrades, we find the past popping up time and again, even people we put firmly in the past popping up, testing us on some level. Don’t be afraid to reinforce those healthy boundaries, and embrace the big shifts that are coming. Please do make sure you take time out for some self care, it is a non negotiable in times like these! Meditation, healing therapies, cleanses are perfect tools to keep ourselves, clear, rational and calm. By the time Yule comes around you’ll see just how far you’ve progressed. You may not feel entirely comfy at times, but have trust that All is Well.